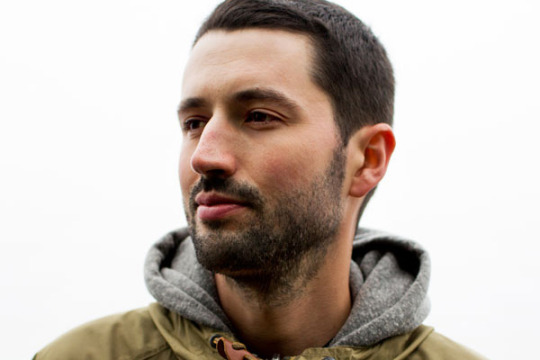 Ahead of S. Carey’s upcoming visit to the Mainroom—opening for American Football!—we asked him a few questions. See what we found out below, and get your tickets to see S. Carey, Aero Flynn, and American Football at First Avenue on Saturday, April 29. Les Poling: You’ve said in the past that you’re a big American Football fan. Have you ever opened for a band that you’re a fan of before? Do you think that will change the performance experience at all? S. Carey: Yeah, it has happened a few times. A big one for me was when we got open for David Bazan for a couple weeks. I’ve been a huge fan for a while; I even have a Pedro the Lion-themed email address that I still use!! We did open a show for American Football in New York a couple years back so hopefully the fanboy energy is tamed down by now (kinda joking)! It is really cool for sure - something you dream of growing up playing music in your basement or garage or whatever. LP: You recently produced and appeared on The King Of Whys, the latest album from Mike Kinsella’s Owen. What was that experience like? SC: Man, we had such a good time. It was kind of how every recording process should go. Mike is so easy to work with. For starters, he’s an incredible musician; plus he’s super low key and easy to get along with. We didn’t really know each other before the sessions, but bonded over the simple things in life - tacos and beer. I think it also worked that we have some musical similarities, but also we are sort of coming two different perspectives and I think you can really hear that mashup on this record. Big shoutout to my drummer and engineer, Zach Hanson, who did an incredible job with the record. LP: You’ll be opening for American Football alongside Aero Flynn, another Eau Claire band. It seems like there’s a real sense of community in the music scene coming out of the midwest today, specifically Eau Claire. Is that something you seek out when you perform alongside or collaborate with other artists, or does it just seem to happen organically? SC: I think it sorta comes naturally? When I first moved to Eau Claire for school I remember seeing these flyers all over for this band, Amateur Love. The lead dude (Josh Scott) was smoking a cig; he looked so badass! And now his new band Aero Flynn is equally as cool. I was honored to record some drums and piano on their first record, and I guess that happened pretty organically. I think I just stopped out the studio and was hanging out then all of sudden I had a piano idea to try. There’s a lot of that process going on in Eau Claire when there are sessions. It’s fun. LP: You’ve been pretty busy working with other people (Bon Iver, Owen). Have you been working on any solo music you can tell us about? SC: Yes, new stuff is in the works! I’ve also been composing some music for a play based on the book “Population 485” by Eau Claire writer, Michael Perry. Trying to get into scoring for tv/film; we’ll see where that goes!